How can i increase the phone's ringtone and headphone volume? Why can not hear the voice louder . How can increase the voice volume?event play the musice also cannot hear louder. XENIUM V816 2SIM WINDOWMOBLE 6.5 and X518 . Is there any information about them? $261 why it's so expensive with that $$$ can can get the Samsung Nokia Sony ericsson LMAO . While incoming call is going, after about 5 seconds the screen is becoming black but the telephone is ringing! Anybody knows is this a problem with my phone or it's OK? Could this one be change in phone menu? Unfortunately I can find something like this in menu. 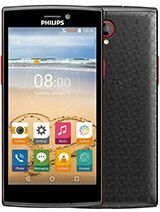 Is this phone avialble in india.........?if yes plz let me know. Please, as asked before, is this a real dual sim, like samsung d980 phone (means when talking or connecting with one sim, you still can receive call from the other in the same time)? 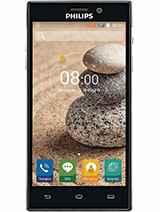 Is this phone available in Bangalore?if yes please let me know...........? ibo, 08 Aug 2010 i can't get my philips x503 setup for wap and mms .does any1 know how to set up ? thanks You can also set ur internet access point so as to use both settings with mms settings so as to retrive your mms access point. ibo, 08 Aug 2010 i can't get my philips x503 setup for wap and mms .does any1 know how to set up ? thanks It's very easy to configure your wap settings in ur philips x503. 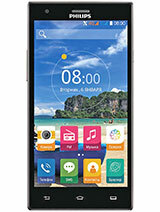 Why Philips does not make their mobile phones available in India, though it is having a very vast consumer support and retail outlets in every state with its large products range to the end users? Can anybody tell me that while using gprs or calling from either of the sim, then from another sim unable to attend any incomings sms or call? 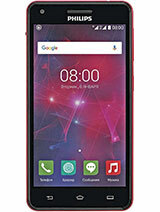 Is this facility also present in gsmart s1205 and New Nokia C2 like samsung dual sims? If this facility not available then their is no use of dual sim? i think its a really beautiful phone. And the specifications are really good. 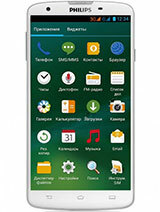 Is this phone avaliable in US? Why people just dont buy Philips' phones? On my opinion, it's a very pretty handset, unlike previous Philips's "brick"-like models. At least, this one I'd like to take in my hands, others - no, thanks! I'm sorry the battery life isn't as great as on other Philips phones, but the camera is OK and I especially like new and quite stylish design! 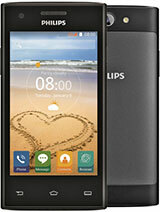 make philips gsm+cdma phone with great battery life plz..
Total of 22 user reviews and opinions for Philips Xenium X503.